USB part of this adapter is pretty equal to the old one except USB protection circuit. 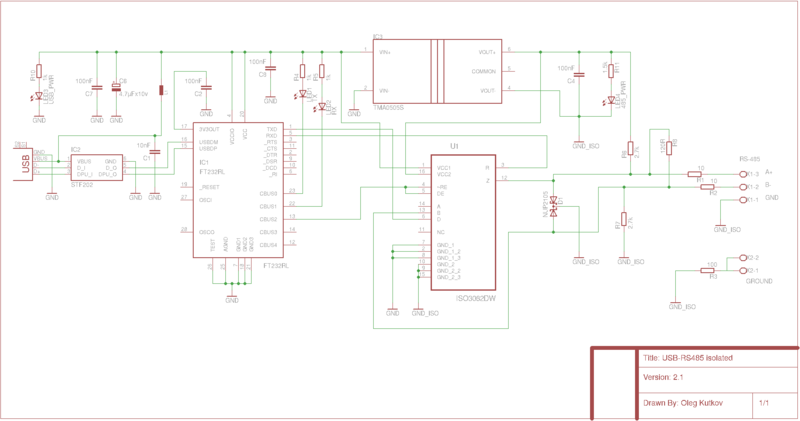 You can see additional IC STF202 between USB socket and FT232. STF202 is USB Filter with ESD Protection, Bi−directional EMI Filtering Prevents Noise from Entering/Leaving the System. Here is internal circuit of the device TSOP−6 package. This device is able to work in USB low-speed and full-speed modes. Please refer to datasheet to get more information about STF202. RS485 part with galvanic isolation is built with single ISO3082 from TI. This is a very reliable industrial-grade high-speed transceiver. 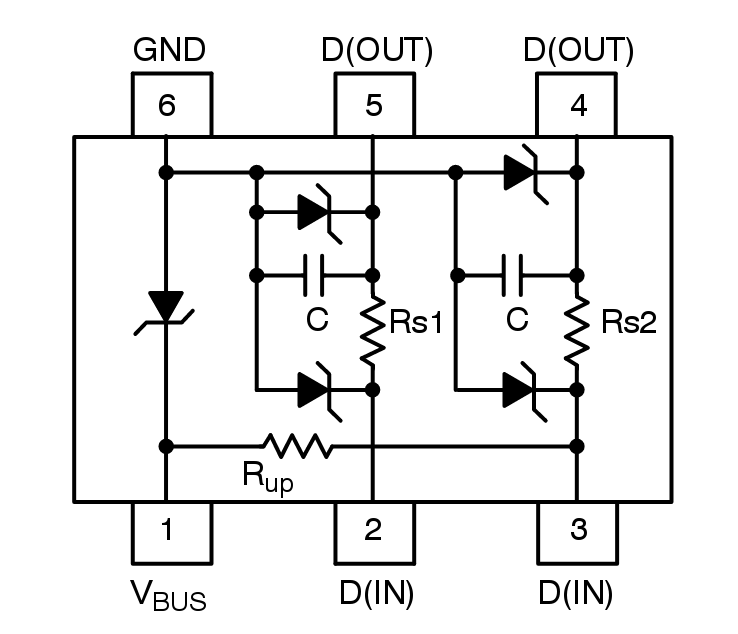 ISO3082 still requires isolated power supply, this circuit is based on the well-known TMA0505 DC converter. Resistors R1 and R2 provides additional protection and matching with a long lines. R3 is using to connect isolated signal ground to the actual ground (earth). This is very important for the line protection. RS485 line is required only two twisted wires to transmit data but is’ very good idea to connect all isolated signal grounds of all devices on the line. 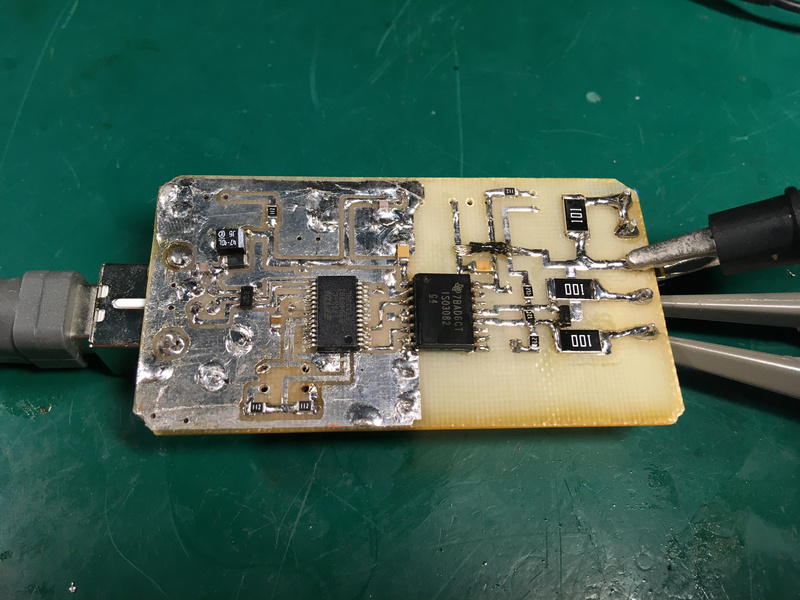 This may help to reduce any voltage bias between distant devices. Don’t forget to terminate both side of the line with 120 ohm resistors! 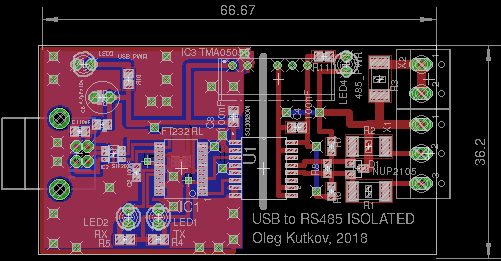 Current USB to RS485 adapter is already equipped with such resistor (R8 on schematic). 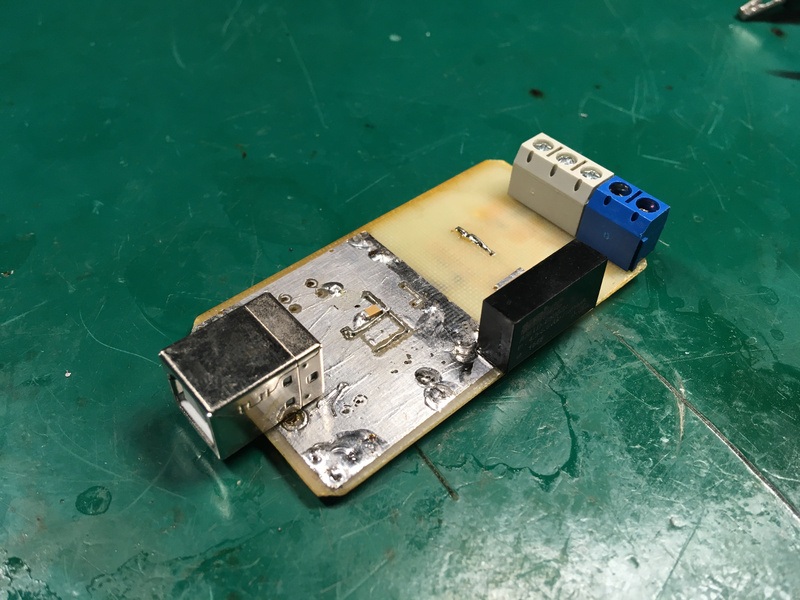 Previous Previous post: Low noise and low cost amplifier for radio astronomy, 21 cm band.